Although he was not alive to see it happen, getting an American to the moon was John F. Kennedy's ultimate dream. 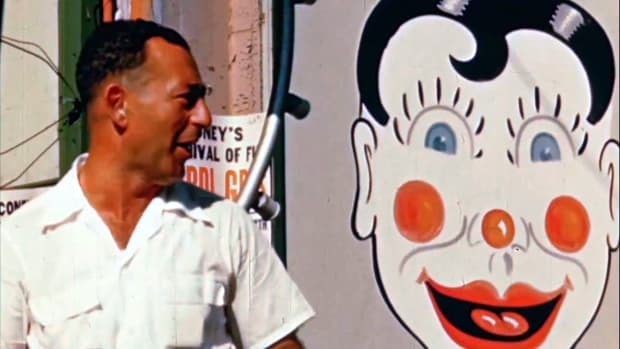 History Flashback takes a look at historical “found footage” of all kinds—newsreels, instructional films, even cartoons—to give us a glimpse into how much things have changed, and how much has remained the same. On October 4, 1957, the USSR launched the first satellite into space. As Sputnik—which means “traveler” in Russian—began its orbit around the earth, the realities of the new age it heralded set in. 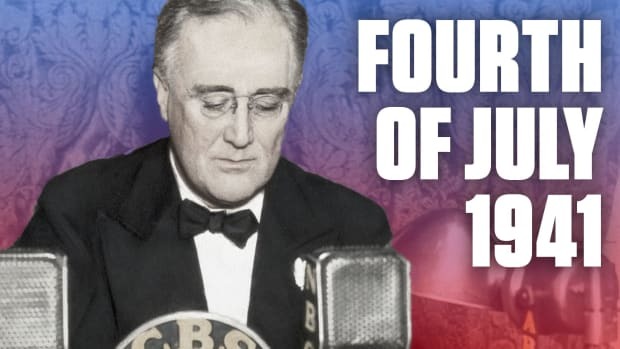 Three years later, John F. Kennedy was sworn in as the 35th President of the United States. Before his presidency was tragically cut short, Kennedy embraced the hope of this “new vista of knowledge” and rallied the country around the challenge and possibilities of exploring the skies above. The start of 1961 was a tough one for the U.S. The Soviets had not only beaten the country in the race to launch a satellite into space, but in April, they also sent the first man into orbit around the Earth. The next month, Alan Shepard became the first American in space, but he merely reached it on that first flight. He didn’t orbit the planet. 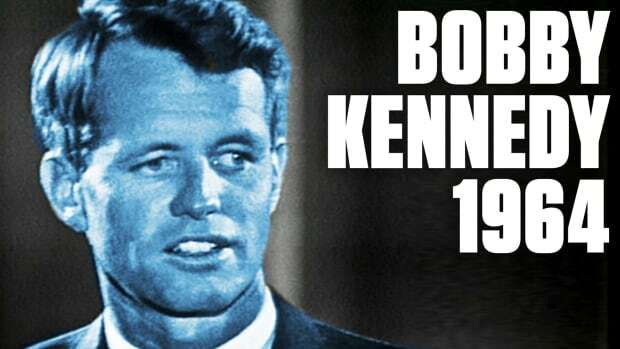 Kennedy knew that the country needed a major pep talk. So he devised an impressive goal that all Americans could rally around. On May 25, 1961, he challenged the United States to beat the Soviet Union to the moon before the decade was out. He put his money where his mouth was, not only restoring the budget for the space program—it had previously been cut—but actually increasing it in line with the new national goals. The space race was one of the defining features of the Cold War, and Kennedy wasted no opportunity to champion his goals for the country in this competition. 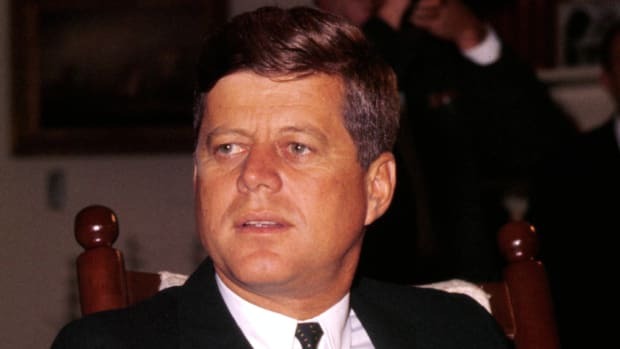 But, behind the public rhetoric, what Kennedy really hoped was that he could use this new frontier to encourage the two countries to come together in collaboration rather than aggression. In 1961, Kennedy and Soviet Premier Nikita Khrushchev attended a summit in Vienna in which Kennedy first proposed that the two countries jointly attempt a lunar landing. The rival leader ultimately declined the offer. Two years later at the United Nations, Kennedy once again suggested cooperation over competition. The Soviet representative said the president’s speech was a “good sign,” but that’s as far as he went. Just two short months later, and only six days after Kennedy toured Cape Canaveral for the last time, the President was assassinated. Kennedy’s dream of space collaboration between the Russians and Americans may not have been realized, but not all interactions between the two countries were adversarial. In August of 1961, two Soviet envoys unexpectedly arrived at the White House with a puppy in tow. 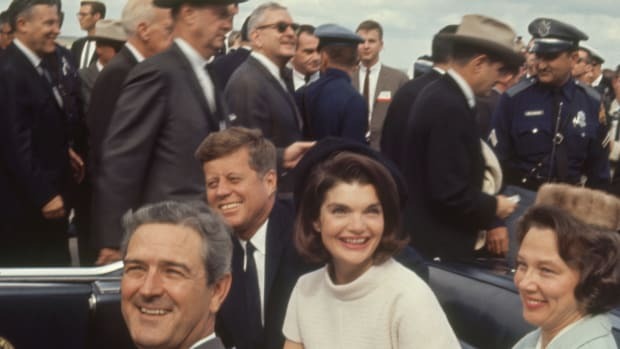 When Kennedy wondered why he was being gifted with a dog, his wife Jackie confessed that during a dinner party earlier that summer, she had been seated next to Khrushchev and she ran out of things to say. So, she found herself asking the leader of the Soviet Union if it would be possible for the Kennedys to get a puppy birthed from one of the first dogs the Soviets had sent into space.